When you drop your child off at preschool for the first time, it’s hard to not feel like life is just flying before your eyes. Next thing you know, your little one will be donning a cap and gown for graduation. While that thought might make you wish your little one could stay little forever, preschool truly is a stepping stone to success: preschool programs are designed to help your child prepare for kindergarten — and all that comes afterward. 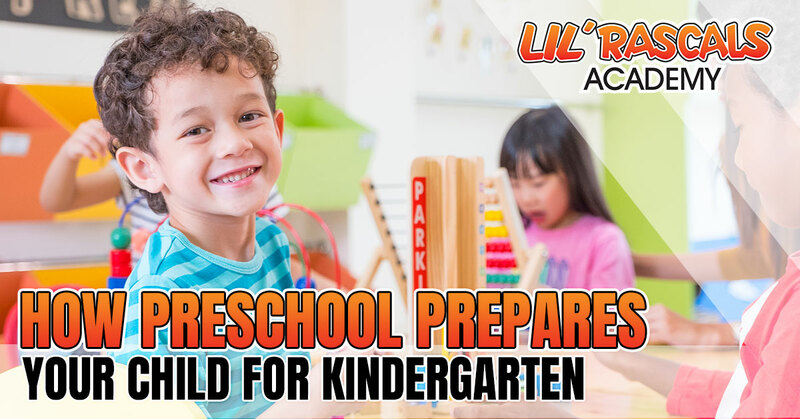 If you’re looking for a preschool in Pembroke Pines, then Lil’ Rascals Academy is the answer. You can rely on our preschool teachers to care for your children, our preschool program to help them develop, and our preschool center to keep them safe and protected. As you embark on this journey of education, here are four ways you can expect your children to grow and to prepare for kindergarten. Being social and kind to others is a big lesson to learn and practice in kindergarten, and learning those social skills starts in preschool. During preschool activities, class time, and playtime, your child will learn how to — and how not to — interact with other children. They’ll also learn how to communicate their needs and understand social aspects like age, first and last names, and friends’ names. You know how to understand your little one’s special vocabulary and catchphrases — but they need to learn how to communicate with others clearly as well. During their time at our preschool center in Pembroke Pines, your child will learn vocabulary and begin to understand and recognize numbers, letters, and even simple words. Depending on your child and the preschool programs in place, your child might even start writing their name. Puzzles, matching games, organization, singing, and more all take place in our preschool in Pembroke Pines — and all of these activities will help your child improve their cognitive skills. Through the duration of your child’s time in our local preschool, they’ll do this and prepare for kindergarten. As your child does this more and more during the day at preschool, you’ll begin to notice these new cognitive skills moving over into their life at home. You can expect your child to improve both motor skills and fine motor skills when they attend our preschool center. 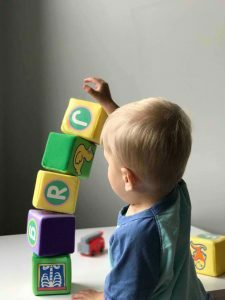 From active preschool activities to preschool learning that involves writing, puzzles, or scissors, your child will have a wide range of ways to improve their motor skills. Your child’s jumping and running skills will improve, along with their ability to do more intricate tasks with their hands. Our child development center will do just that — help your child develop in vital ways. We all want our children to develop social, language, cognitive, and motor skills as they progress through life. Preschool can be that first step to help them succeed. We have locations in Cooper City, Davie, Pembroke Pines, and Weston — schedule your free tour today.